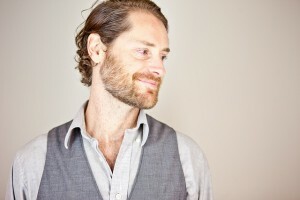 The CEO of Hootsuite shared his thoughts on social media for 2014. You always get to hear my thoughts on things including social media, SEO and blogging. But sometimes I like to share what the real experts have to say on those subjects. There are a lot of smart people out there with some really good blogs. And these same experts also do interviews all the time to share information with their audiences and customers. So for this post we’re going to look at some of the things you can expect in the social media world for 2014. I hadn’t heard much of this term before I had Tom Fishman, MTV’s vice president of content marketing and fan engagement, on the podcast. Fandom is essentially the sub-culture of raving fans that exist within your overall customer base. These are the fans that are going to do a lot of your marketing for you, the ones who will promote your brand to other people. This one is really cool and really interesting. Businesses have been creating fans for a long time in industries like music, TV and even in cooking, but more traditional businesses have avoided it for some reason. Hopefully people will now get on board with the idea of fandom. Individuals aren’t the only ones increasingly creating and sharing content on the social web. Now, businesses of all shapes and sizes are are following suit. Two years ago, CEO’s would tell me, “I don’t need to be using social media because I do. . . .” Now, even in manufacturing, business-to-business fields, and all sorts of industries, leaders have realized that social media and content marketing are table stakes. If you think the social web is noisy now, in 2014 you’ll see more content than ever before. This means you and your business need to create better, more fun, and more valuable content in order to be noticed and to truly benefit from social media. Can’t argue with this one. More businesses are creating content and they’re leaving you behind if you’re not doing the same. Social media is already being used by many workplaces to connect with great job candidates and save costs on recruiting. In 2014, forward-thinking companies will further adopt social media talent strategies to empower their employees to speak up and be better heard at work. How? By encouraging them to connect with each other via networks like Twitter, Facebook, Tumblr, Yammer and more. We definitely agree with this one. It’s time to hire people that will make you proud when they use social media. As we move into 2014, it’s important to keep in mind that more content isn’t the key; it’s relevant content that counts. By waiting for the moment, acting in the moment (think, Tide’s Shark Week tweet), and anticipating the moment, brands and marketers can drive traffic, engagement, and high-quality leads. Smart brands already have a handle on acting in the moment, but the trend is only going to grow in 2014. Who will be this year’s Oreo at the Super Bowl? We’re not exactly there yet, but what if your team could anticipate what topics your customers will be talking about and have content ready for them when they need it? Moreover, brands would be able to not only stay ahead of topical trends but also determine which devices to optimize campaigns for, what product users are likely to enjoy next, and what the most effective calls to action will be. This trend is not new, but some really big things happened in this area in the last year. It looks like Real-Time will continue to be big in 2014. Twitter had a big year in 2013. The social media network saw changes across the user interface on desktops and mobile devices. The ad platform grew leaps and bounds. And perhaps most importantly, Twitter filed for and successfully completed their IPO. Previously I wrote about what that meant for Twitter Ads. In short, using Facebook’s IPO and subsequent development boom as an example, it is safe to assume we should expect big things from Twitter. Throughout 2013 and leading up to the IPO Twitter successfully overhauled the advertising interface and targeting functionality, launched TV ad targeting and created the impressive Lead Generation Cards. Since the IPO in October, the Twitter development train has kept right on chugging. Now we have Tailored Audiences (remarketing), promoted accounts in timelines, and a true “broad match” for keyword targeting. Now that Twitter is beholden to shareholders, expect this kind of rapid development in the advertising platform to continue. Ad revenue = happy shareholders. Social media advertising is coming into its own. Will you be investing in advertising in 2014 or will you publish your own content to share on social media? Or maybe you’ll do both? If you follow us at GBW you know we agree with this one. Time to branch out with Facebook especially with content that you own and control. Are your existing personas up to snuff? Here’s a quick self-test. Answer just one question: Why do some prospects buy while others simply choose to live with the pain? This one is simple and really nothing new, but it’s very important. The New Year is always a good time to take a step back and look at who your exact customer is. This one is really important. Google+ might not seem cool, but since Google controls much of the web you have to play their game to get traffic. Regardless of whether or not you think Snapchat is worth the $3 billion Facebook offered it, one thing is clear: There’s an appetite out there for so-called ephemeral networks, where content literally vanishes seconds after being received. And, contrary to popular perception, this isn’t just about sexting and X-rated selfies (though it definitely is about that, too). As content on the major networks becomes more corporate and commodified, Snapchat and services like it restore some of the fun and spontaneity to social media. Just like a real-life interaction—where ideas flow freely and you generally don’t worry about everything being recorded for posterity and broadcast to the world—SnapChat and networks like it offer a channel for genuine, unfiltered exchange. And the kids really like it. While Facebook’s own CFO officially acknowledged last month that teen use of his network is declining, the number of teens on SnapChat—at least anecdotally—is exploding. This one has been really interesting in 2013. It’ll be interesting to see how the Snapchat craze continues into the New Year with the emergence of vanishing content. I still like the content that sticks around like the stuff you publish on your own blog. No longer is it enough to say that you do social media marketing because you have a Facebook and Twitter page. The increasing complexity means you need a strategic social media marketing plan. This means defining your goals, audience and allocating a budget and appropriate resources just for starters. It’s now time to write that social media marketing strategy. This is a simple, but great point. We ask the questions about goals and audience for all of the clients we work with. If they can’t provide an answer we tell them we can’t work with them yet. There are 10 big social media predictions for the New Year. These are the experts in the social media world. They write for some of the biggest and most popular tech websites around. Good luck with your social media efforts in 2014. Hopefully these predictions will help.